Google recently updated its Gmail application and introduced new tabs which categorize our incoming emails to different categories. 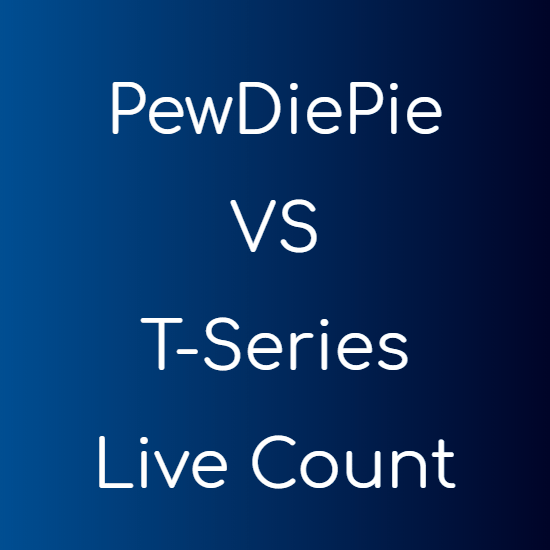 The emails are sorted according to the sender and/or the website from which the email came. Like if the email is from Facebook or Twitter then it is automatically categorized under the “Social tab” and skipped from the inbox. This feature may prove useful for most of us, but if you are the one who dislikes this new feature and still likes to manage your inbox on your own, then you can easily disable the tabs in Gmail. Login to your Gmail account as you usually do. You will see the new tabs. 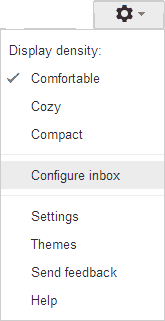 Click the Gear icon in the top-right and select “Configure inbox” from the drop down menu. Now uncheck all the names of all the different tabs leaving “Primary”, which is mandatory and will remain checked. Hit the “Save” button and you will be greeted with a message confirming that the Gmail tabs are now switched off and teaching you ways of enabling them again. 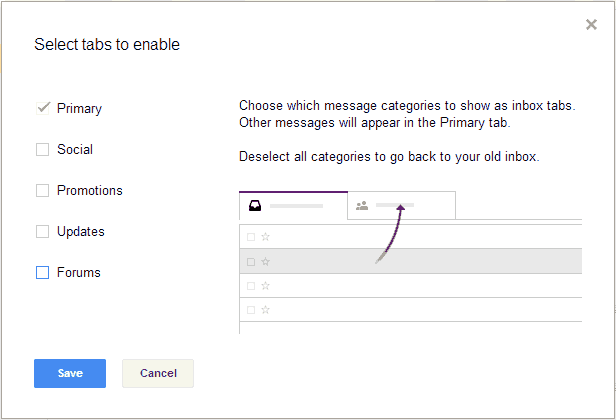 If you have followed the steps then you would have already disabled the tabs in Gmail. If you ever want to get the tabbing functionality back then follow the same steps and check the tabs you want to include.